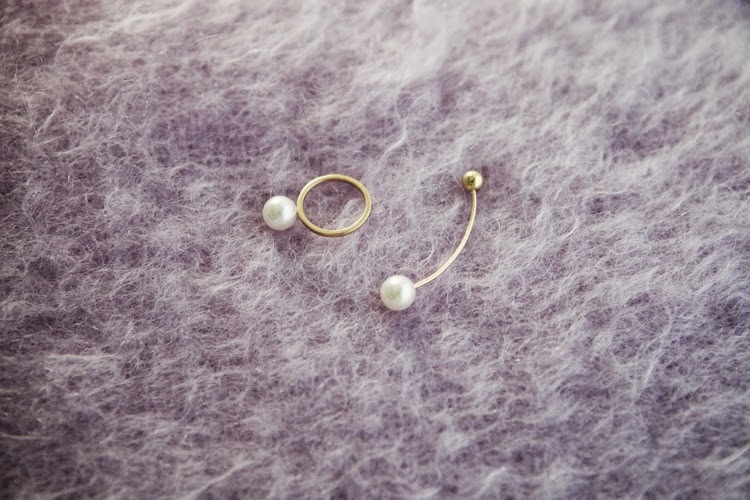 Just another addition to the Sophie Bille Brahe one piece collection... The earring has been my favourite since the winter months, which now can be possibly coupled up with a mid knuckle number. I kind of love the whole ensemble and without going overboard there is just a perfect amount of pearl for a good slouchy sweater kind of look. And somehow it just feels like winter is coming. Pearls are highly chic and fashionable! Great choice!